Growers Supply announced an End of Summer Sale that deeply discounts their most popular GrowSpan greenhouses and high tunnels. 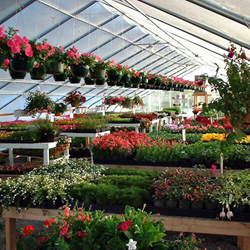 Whether these growing structures are used for vegetables, flowers, nursery applications, education or anything else, the sale encompasses some of Growers Supply’s most versatile growing structures. Growers Supply announced an End of Summer Sale that deeply discounts a number of their most popular GrowSpan greenhouses and high tunnels. These versatile growing structures can be found on the company’s website, GrowersSupply.com. With the sale comes significant savings, and some greenhouses will be discounted over $5,600, while some commercial-scale high tunnels will be on sale for as low as $3,429. Whether these growing structures are used for vegetables, flowers, nursery applications, education or anything else, the sale encompasses some of Growers Supply’s most versatile growing structures. GrowSpan Greenhouses for sale include a 30’ x 72’ Gothic Greenhouse with Full Polycarbonate and a 26’ x 48’ Round Pro Greenhouse. Both of these structures can be outfitted with all the required accessories to grow in any region on a year-round basis. They allow growers to create a controlled environment that just about any crop can thrive in. The greenhouses are constructed from ultra-durable materials that ensure growers will be utilizing the structures for years to come. The frames are built with American-made, triple-galvanized steel, which is covered with 8 mm twin-wall polycarbonate. The polycarbonate comes with a 10 year warranty and features exceptional insulation, so it can help growers reduce operating costs. The End of Summer Sale also includes some of Growers Supply’s most popular high tunnels. GrowSpan Single Bay High Tunnels are available in 24’ x 105’ and 28’ x 105’, making them an ideal solution for commercial and large-scale operations. The 14 gauge, triple-galvanized steel frame is covered with a Sun Master 6 mil, 4 year clear film. It is made from copolymer resin for superior strength, and it’s anti-dust additives repel dirt to allow for 92 percent light transmission. The GrowSpan Economy High Tunnels are available in 26’ x 96’ and 30’ x 96’. They feature the same frame as the Single Bay High Tunnels, and they are covered with a 6 mil, 4 year greenhouse film. Economy High Tunnels make ventilation simple with the universal joint roll-up sides. In just moments the tunnels can be inundated with fresh, nourishing air. The End of Summer Sale will be offered until August 31st. To find out more about the sale and the Growing Structures included, visit GrowersSupply.com .